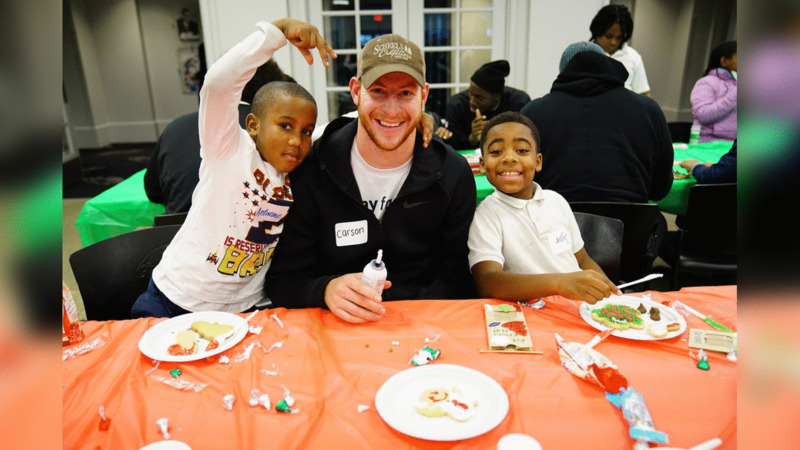 The Eagles' rookies, including quarterback Carson Wentz, joined students from Steppingstone Scholars to decorate holiday cookies. The students who came were also celebrating their attendance achievements! Destiny Vaeao and this Steppingstone Scholars student also worked on arts and crafts!  Aziz Shittu and his new friend took a break for a quick selfie. The group decorated tons of holiday cookies with green and red icing. The decorated cookies looked great! Alex McCalister and this student stopped their decorating to smile for the camera. David Watford worked on making a gingerbread house. Paul Turner helped this student build a gingerbread house as well. Halapoulivaati Vaitai and his new friend were hard at work decorating. More crafts with Jalen Mills! Everyone had a great afternoon getting in the holiday spirit!